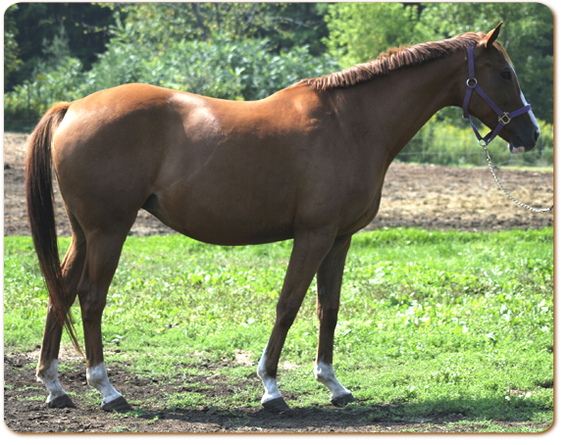 Driving Rosa Wild (barn name Rosa) was born April 5, 2001. 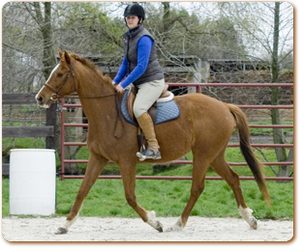 She is by World Stage (IRE) and out of Bonnie's Driving. 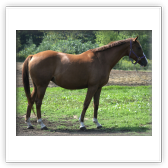 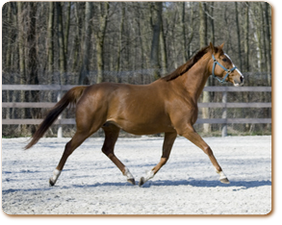 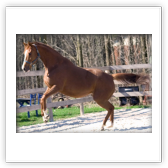 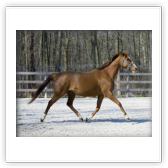 Driving Rosa Wild is a 16.2 hand chestnut Thoroughbred mare. 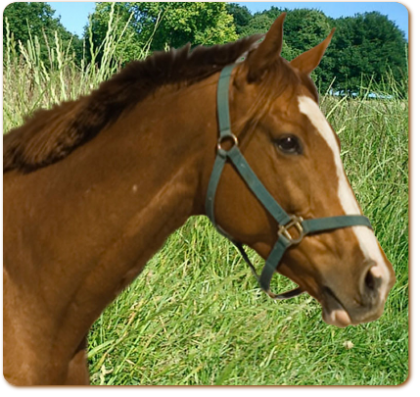 She is registered with the Jockey Club and started in 34 races. 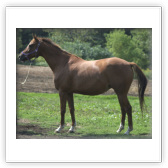 She retired sound and has produced two foals for us. 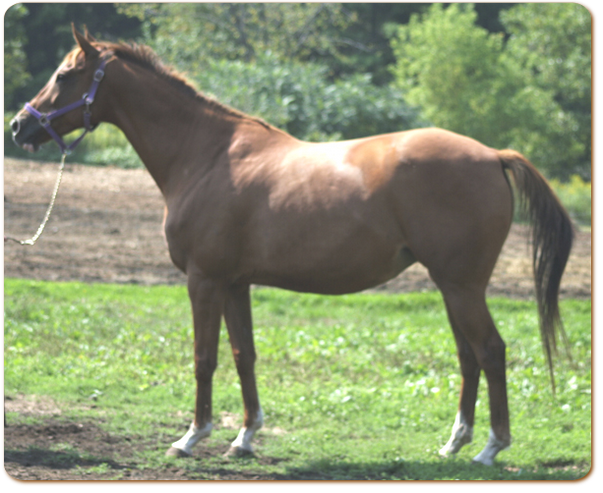 In 2007 Driving Rosa Wild produced a beautiful palomino filly Tinker’s Trinket, by Guaranteed Gold. 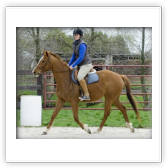 This filly has developed into a very refined filly and is ready to start under saddle. 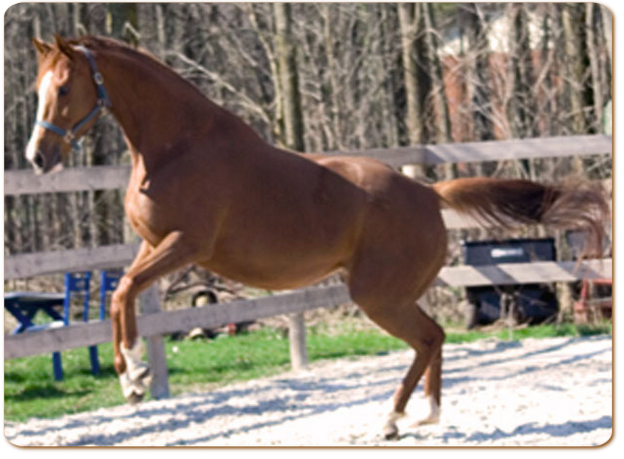 In 2009, Rosa gave birth to a lovely bay filly by Melody's Prince.